Magic trick training software for the Nintendo DS. Learn the secret to over 20 tricks through step-by-step tutorials, and then perform the tricks on your family and friends. 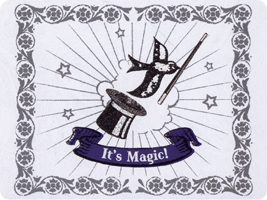 With the arrival of DSiWare, Nintendo sold some of the magic tricks individually for the download service.